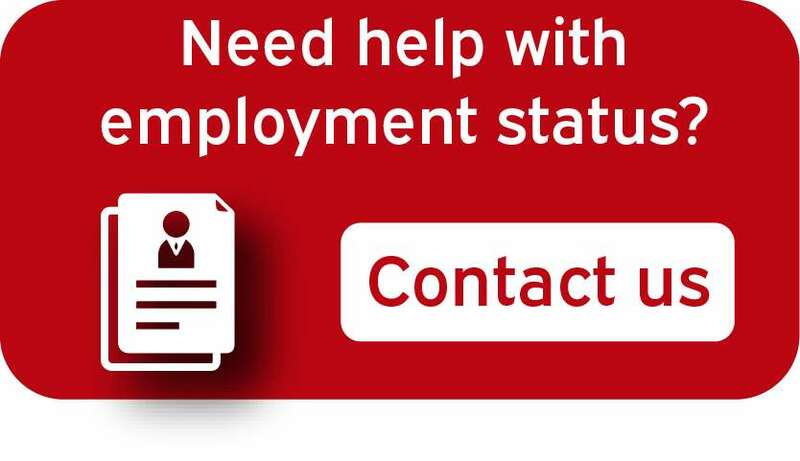 How can Aspire help with employment status? It is vital that employers and workers know exactly what their obligations are when it comes to employment status. The main types of employment status include employee, worker and self-employed. Each status has its own set of rights and obligations which must be complied with. Employees and those that employ them are governed by the terms and conditions detailed in their contract of employment. The employee must personally carry out the work without outsourcing it to someone else, and the contract will include information about the pay they are entitled to receive, their annual leave and their working hours. There are many factors that help determine whether an individual has employee status and these include the obligation for the individual to work and in return to be paid for that work (mutuality of obligation) and the individual being subject to control by their employer. Employers are also obliged to respect employee rights, which include paying the National Minimum or Living Wage, provision of holiday pay statutory benefits and itemised pay slips as well as the right to not be unfairly dismissed after a certain period of time. Self-employed individuals don’t have the same rights as people with employee or worker status. They will be expected to work without any mutuality of obligation, be free to decide how, when and where to do the work and be subject to financial risk. They are not paid during any period when they are not providing services and do not qualify for paid holiday. They are under no obligation to provide the services personally and so, can send a substitute in their place. They will still be protected by health and safety regulations if they are working on their client’s premises. Companies will face legal action where they engage an individual on the basis of their being self-employed, but they are subsequently found to be an employee. Government has been taking more action over what is deemed to be “false self-employment” as a growing number of companies are disguising employment as self-employment in order to avoid Income Tax and National Insurance. HMRC are able to recover unpaid tax contributions from companies engaging in false self-employment if such businesses are unable to prove they were complying with the law. At Aspire, we can come to your assistance if you have any queries about employment status and require help and advice on complying with the law whilst keeping your tax liability to a minimum. We provide the sound, coherent and accurate advice you need to make the right business decisions and can help you to avoid not only financial risks but reputational damage too. You can get in touch with us today by calling on 0121 445 6178, using the contact us form on the website or by sending an e-mail to enquire@aspirepartnership.co.uk.